Join the Western Region Council on Black American Affairs, October 4 – 5, 2018 at the College of Southern Nevada North Las Vegas Campus for this year’s regional conference. Dynamic guest speakers, interactive workshops and a wonderful opportunity to network with other community college colleagues. Karen Hunter is a Pulitzer Prize-winning journalist, professor, publisher and named one of The 100 Most Important Radio Talk Show Hosts in America by industry bible Talkers Magazine. 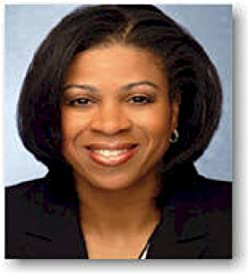 She is co-author of eight New York Times bestsellers and publisher (under her eponymous imprint at Simon & Schuster) of bestsellers with Janet Jackson, Kris Jenner and E. Lynn Harris. The 2018 WRCBAA Regional Conference committee is seeking proposals that highlight the four core themes below. Proposals should reflect diverse perspectives, programs, impacts, research, technology and innovation to improve the economic independence, mobility, wellness and welfare of students, employees, and communities. Educate – Assisting Black America in navigating career pathways and achieving success through degree attainment and career readiness by removing barriers to social mobility and economic success. Advocate -Supporting the interests and advancement of African Americans across college campuses and communities through legislation that address concerns at a local, regional, national, and global level. Empower – Accomplishing goals through the power of unity, advocacy, and the influence of the collective voice. Impact – Developing human potential by providing opportunities for lifelong learning, and creating learning and work environments that place diversity, equity, equality and inclusiveness at the forefront.